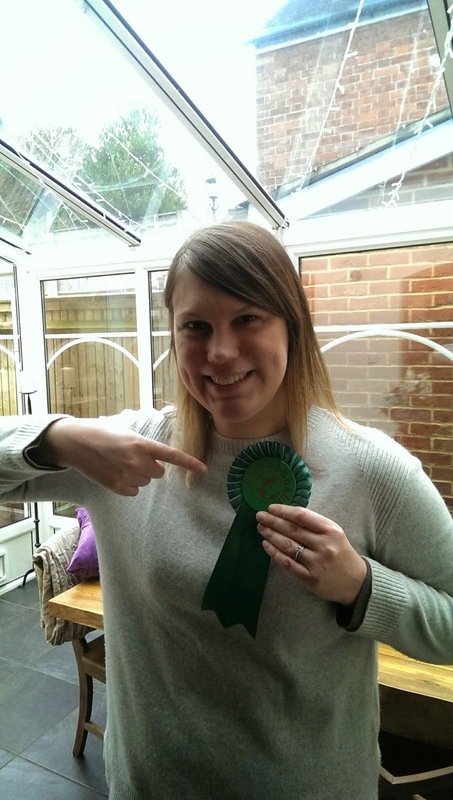 April recently joined the Green Party and in order to make sure that each of Tonbridge's local election wards had a candidate for the Greens they asked her to stand for the election! All she needs now is 10 signatures from our neighbours. To help her look the part, I ordered a Green Party rosette.